Our recently renovated space is located in the Lutz/Wesley Chapel area- located right off State Road 54. 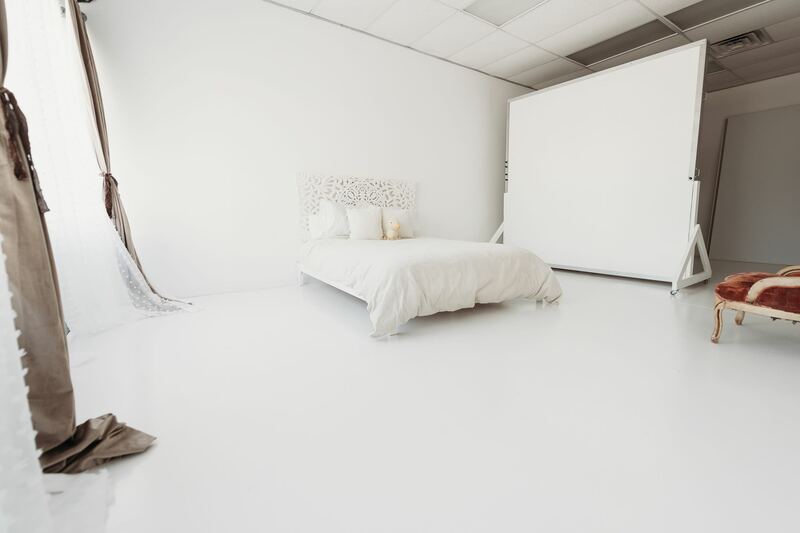 It has two sides- a bright white lifestyle family area with a bed and place for playing and a side for portraits highly artistic images. The studio is the heart and soul of Alison Winterroth Photography and where we give our clients the special experience they deserve. We have plenty of blankets for newborns, sweet toys for entertaining toddlers and gorgeous dresses for maternity sessions. 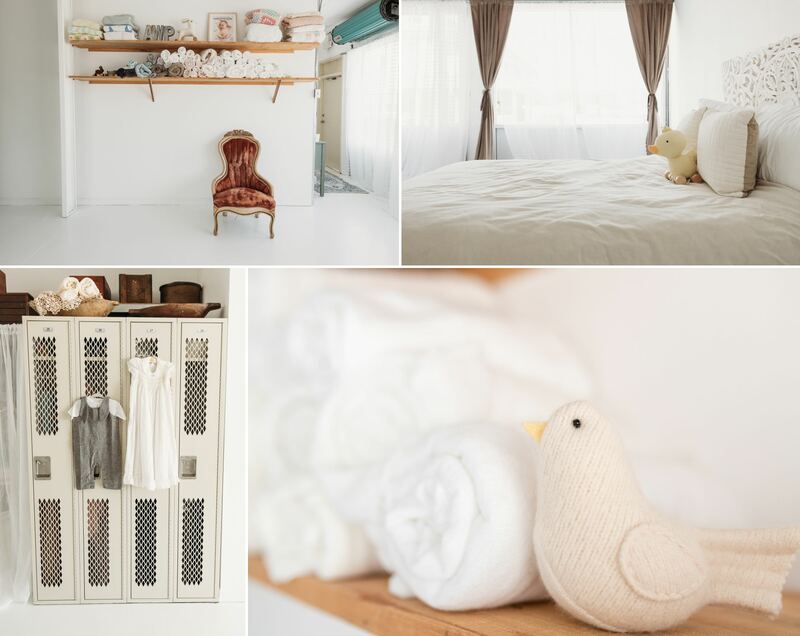 We have made a simple yet gorgeous space to photograph newborn babies, pregnant mothers, motherhood sessions, and young families. 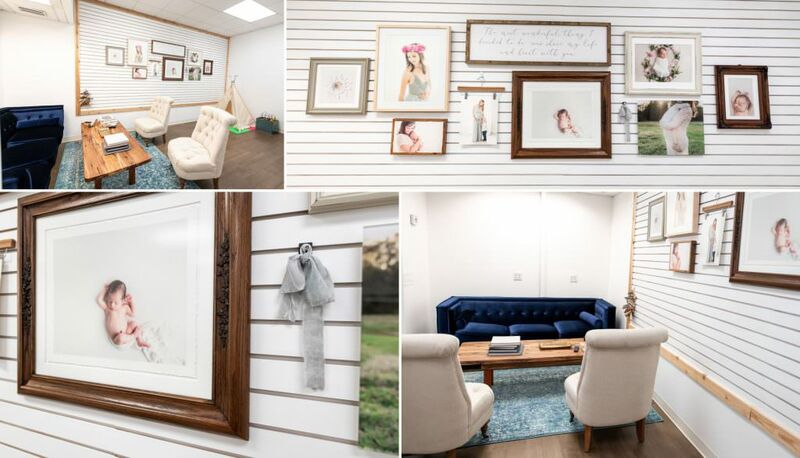 The shooting space is light and airy and allows for your family’s love and connection to shine through. The colors are soft so that you can wear whatever tones you would like and the images will still match your home decor. On the non shooting side, we have thought of everything. There is a comfortable sitting area, place for the children to play, color and read, a hair and makeup station, coffee and tea area, and snacks for the whole family. We would like you to have an amazing and relaxing experience while you have gorgeous portraits taken of your family. Our goal is for you to print those images for your home and family so that they will last a lifetime. On display, we have prints and products that you can have custom designed for your home, plenty of album samples and options for whatever your decorating style. Ready to reserve your session? Contact us here, or check out our gorgeous photography heirlooms. Alison Winterroth Photography’s studio is available for workshop rentals, please contact info@alisonwinterroth.com for rates and details. Newborn and Baby Photography Tampa. Tampa Newborn Photographers; specializes in maternity photography, newborn and family photography, and baby and family photography. 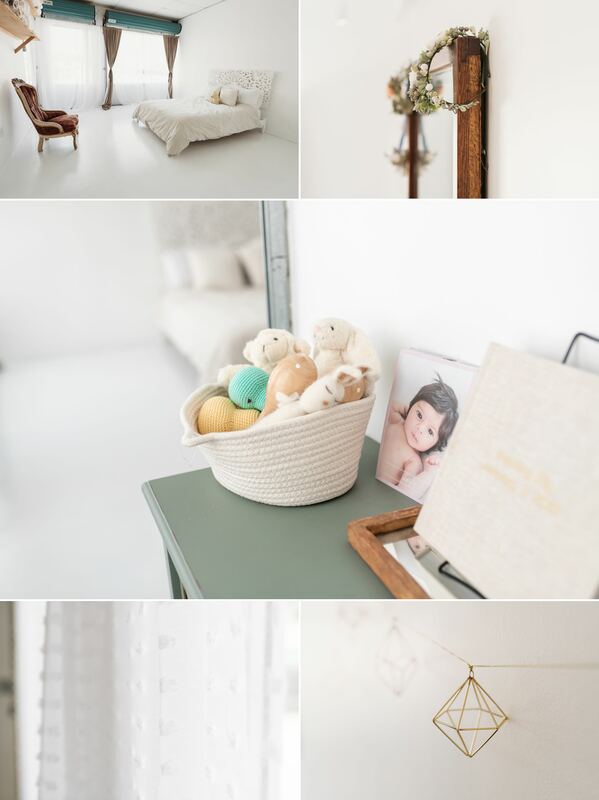 Alison Winterroth is a Tampa Baby and newborn photographer with a studio located at: 23834 State Road 54, Lutz, FL 33559. She serves Hillsborough County, Tampa Fl, and the Central Florida area.